August 16, New York: What is The Invisibles? The Invisibles is a masterwork of a comic from Grant Morrison (who has since done incredible runs on very famous titles). The Invisibles is action comic, conspiracy pastiche, epistemological exploration, gnostic treatise, magick primer, 1990s cultural record. And at all of these things it is exceptional. The book tells the story of the battle between good versus evil, individualists versus conformists, witchy rebel freedom fighters with awesome haircuts versus the worst government suits and their demonic masters. 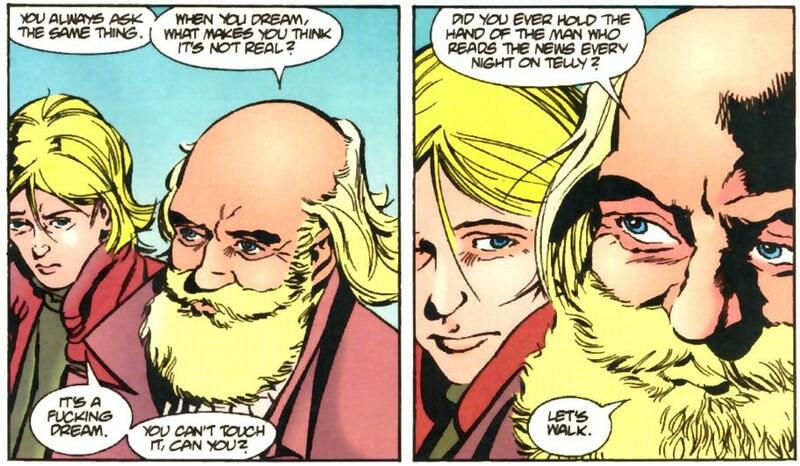 The first thing to know about The Invisibles is that not everyone has read it. When you read it, and then you find yourself bursting with the desire to talk with someone about it, keep this fact in mind. You will have to either a) go back to this person who introduced it to you or b) give it to a friend and hassle them about it until they’ve finished it. I’ve done both. 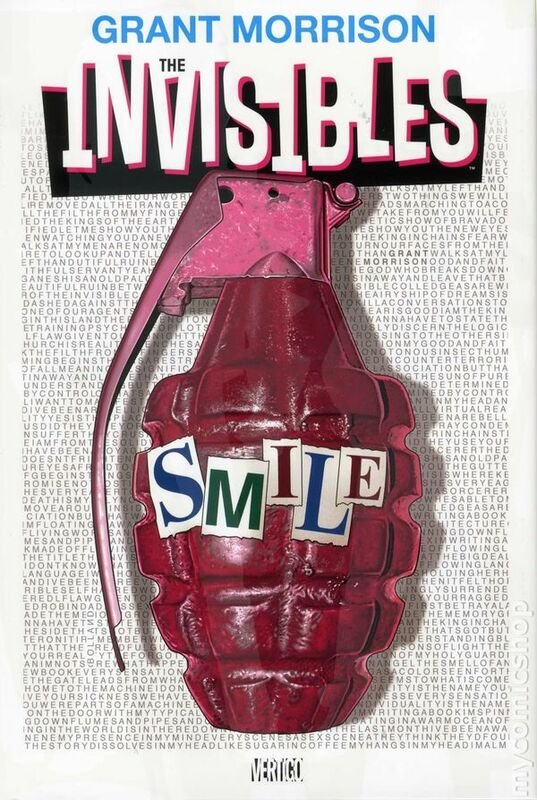 I first discovered The Invisibles as Grant Morrison says he intended, through the glossy second volume which then pulled me into the deeper stuff of the first and third. I was editing a film trailer based on a sequence from the second volume. For background, the director gave me all the trade paperbacks and I read every one. The series is finite— there are only the three volumes, so it’s actually possible to read the whole thing. And then to read it again. And again. The Invisibles seduces by taking all the nerdstuff you love and arguing that it is indeed possible. That it exists all around you in secret. That all the conspiracies are true and that magick is real and that you too can perform it. By reading The Invisibles you are already a part of a magickal spell. It takes this 1990s notion that I rediscovered watching Hackers— that anyone with a little computer knowledge could have been a wizard— and it makes characters from that scene ACTUAL WIZARDS. I was more primed for this than you might think. I’ve long been a searcher when it comes to spiritual worldviews and there was a period of a few years in my late teens that I read the tarot and believed firmly in supernatural forces of indeterminate nature. (The best part about searching is not having to make up your mind.) 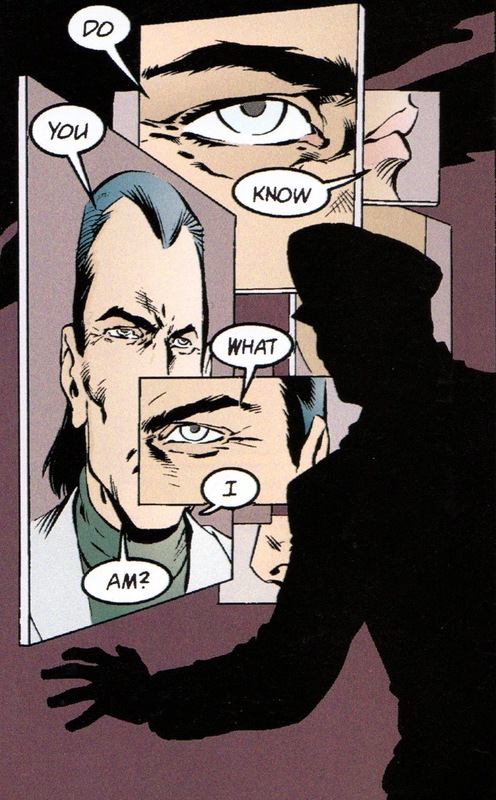 The Invisibles reconnected me to that as an adult. Years prior the search had led me to pursue a second degree in philosophy, but along the way I’d lost the original impetus (god, but academic philosophy is boring). I was reading Kant when I should have been reading comics. 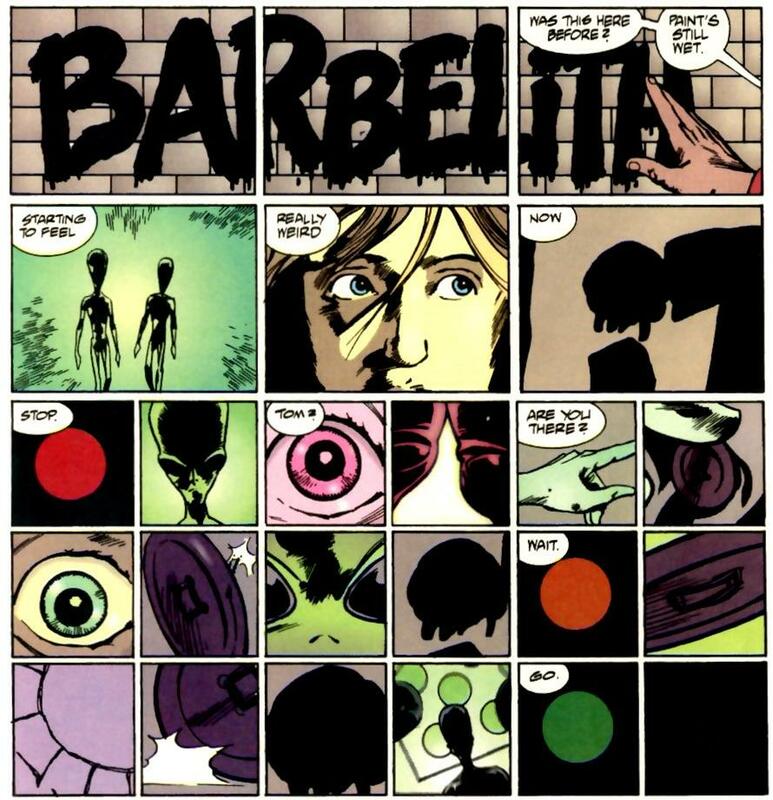 The Invisibles is described by Grant Morrison as a spell in itself. It certainly worked on me. I reread these books multiple times, tore them apart for reference texts and then went after those. There was a point at which I read the series as an investigative project, spelunking its secrets and following the threads. This required reading the comics page by page with the annotation volume, Anarchy for the Masses. I dived deep into the source material. That reading led to VALIS, to The Prisoner, and even to me rolling my eyes through a little Lovecraft. It was an intoxicating period of media consumption. Are the conspiracies true? Does magick really work? Will the voudon loa take a candlelit meeting with me if I sacrifice enough roosters? I think the answers are different for everyone. Magic is in the eye of the beholder, it’s all about subjectivity. New Orleans is a magical town because the consensus reality doesn’t preclude the existence of magic. The rites of the group headed by Aleister Crowley pushed the boundaries of shared experience, of collective subjective belief. And they all experienced great magick. Which is where The Invisibles gets really interesting… mass media can create these consensual beliefs. For the readers of this series and the consumers of derivative works like The Matrix, the philosophical tenets and existential questions have been raised. A seed of belief has been planted. The Invisibles is indeed a powerful spell for creating a belief in the world of The Invisibles. Become a part of the spell. Start here at the beginning, or here at the glossy fun bits. When you’re desperate to talk to someone about it, let me know. This entry was posted in Books, Reviews and tagged A Long Waltz Through Nerddom, Gnosticism, Invisibles on August 16, 2014 by magicandrew.